Amber is after all Captured Sunlight and has a warm honey feeling. 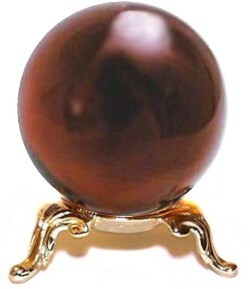 The beautiful golden umber of AMBER is duplicated to perfection here. 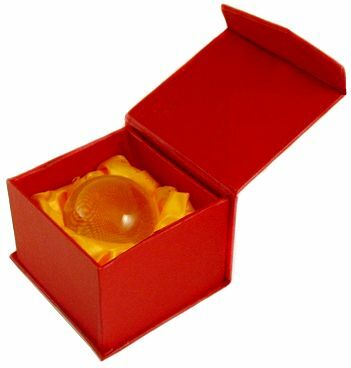 Real Amber sphere's are so rare, especially in this large size so enjoy the color and glow of this beautiful crystal ball. 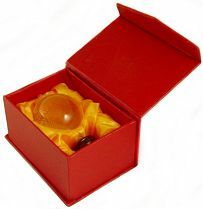 The 50mm Crystal ball is shown with a Princess Gold Plated Stand sold separately for just $4.50. For larger stands click o0n links below.